Cator Shachoy began her exploration of subtle body healing, yoga, and meditation in 1990. She first became interested in subtle body healing through a powerful personal experience of the human energy field. Since this experience she has studied many techniques for energetic healing. She has chosen to focus on craniosacral bodywork as a technique which has a firm foundation in the physical body, and is effective on the subtle body, thus bringing the physical and the metaphysical together. Cator’s subtle body healing sessions are complemented by her practices of yoga and vipassana, or insight meditation. These disciplines allow her technique to be deeply rooted in spiritual healing. Cator delights in sharing the practices which inspire her life. Cator completed the teacher training program at the Iyengar Yoga Institute of San Francisco. Since moving to the San Francisco Bay area in 1995, she has practiced with senior Iyengar teachers, including Ramanand Patel, Judith Lasater, Elise Miller, and Donald Moyer. Cator has participated in numerous yoga workshops and intensives over the years, resulting in extensive training in the Iyengar method of yoga. 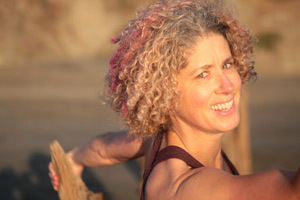 She has more than 2,000 hours professional training as a yoga instructor. Cator frequently combines therapeutic application of yoga with craniosacral bodywork where applicable. After many years training in Energy work, Cator chose to focus on Craniosacral bodywork as a technique which is both physiologically based, and essentially energy work. Cator is a certified practitioner of Visionary Craniosacral Bodywork through the Milne Institute 1200 hour certificate program. She has more than 2,000 hours of professional training as a healer and Craniosacral Practitioner, with a specialty in Pediatrics. Currently Cator is a Master Practitioner at Kabuki Springs Spa in San Francisco, where she is training the staff in Craniosacral Bodywork. Cator first began the practice of meditation as the result of chronic illness. She found immediate and long term relief from many symptoms through the careful application of mindful awareness. This inspired her to live in spiritual communities and Buddhist monasteries for 3 years. During this time Cator was a resident volunteer staff member at the Insight Meditation Society of Barre, Massachusetts, Plum Village, the community of Vietnamese Buddhist monk in France, Lama Foundation in New Mexico, and Wat Metta Forest Monastery of Valley Center, California, among other places. Cator has studied and practiced with leading western and Asian teachers since 1991, including Joseph Goldstein, Sharon Salzberg, Sayadaw Upandita, Ajahn Jumnien, and teachers in the Ajahn Chah lineage. In 1995 Cator participated in the Mindfulness-based Stress Reduction Clinic Intern program at the Worcester Medical Center, in Worcester, Massachusetts.